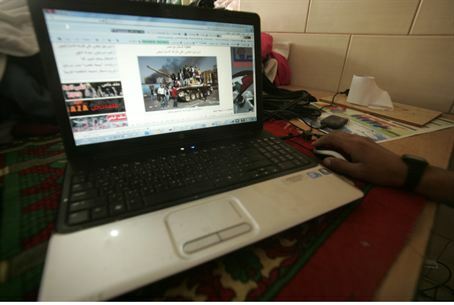 A new online search engine is blocking web content deemed “haram,” or forbidden in Islam. Censorship to be relaxed in Iran? The Halalgoogling site, dubbed the “Haram Filtering System,” claims to block content based on general category filtering and forbidden sites on a “black list”, Al-Arabiya news reported. According to the site, the system features four components: general category filtering, which filters overall search of different categories; forbidden sites, which black lists websites; link filtering, which removes of only certain links from a website; and, Haram Keywords, which list keywords that are banned. However, Halalgoogling admits that some haram content still escapes the filter, according to Al-Arabiya. “Despite of our best efforts to make our service as secure as possible from haram content, there is still much work to be done, we still have several milestones to overcome, but with God willing (Insha’Allah) and your help we will make Halalgoogling suitable for every Muslim brother and sister and achieve our common goal,” a statement on their blog says. According to Pakistan’s Express Tribune, the “haram filter” has been developed by a worldwide team of “internet experts” to determine haram content and protect those who do not want to be exposed to such information.